Packed with information, ideas, and photographs that will inspire every cook, The New American Chef shares a mouthwatering array of nearly 200 authentic recipes, including Honey Spare Ribs from Michael Tong of Shun Lee Palace, Gazpacho Andaluz from Jos? Andr's of Jaleo, and Steamed Sea Bass with Lily Buds from Charles Phan of The Slanted Door. Called "the brightest young author team on the culinary scene today" on NPR, ANDREW DORNENBURG and KAREN PAGE are the James Beard Award-winning authors of Becoming a Chef, Culinary Artistry, Dining Out, and Chef's Night Out. 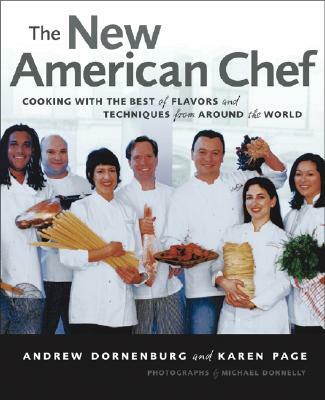 They live in New York City and can be found online at www.newamericanchef.com. Michael Donnelly is a New York-based photographer whose work has appeared in Gourmet, House & Garden, Travel & Leisure, and the World of Interiors.